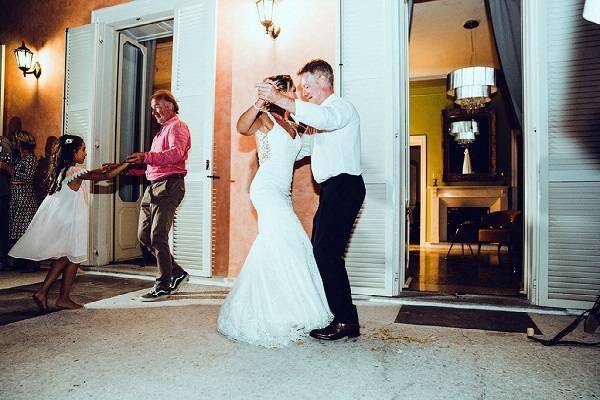 We are already busy with preparations for the new season’s upcoming weddings so it’s a good time to look back on some of last year’s memorable wedding parties. One particularly memorable wedding blessing ceremony was that of Ariane and Oliver! 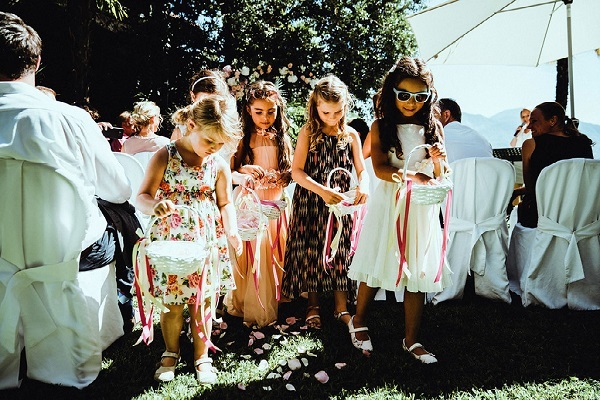 This Stuttgart couple chose a friend’s villa in Ghiffa on Lake Maggiore for their wedding party. Ghiffa is a charming location that nestles on the shores of the lake. A pretty flower arch in the villa’s garden was the perfect complement to the location. To this marriage blessing which took place overlooking marvellous views of the lake, the couple had invited their close circle of family and friends. Among this group of 30 guests were many children including, of course, Ariane’s two children from her first marriage. Following the open-air blessing ceremony, was a boat trip on Lake Maggiore. 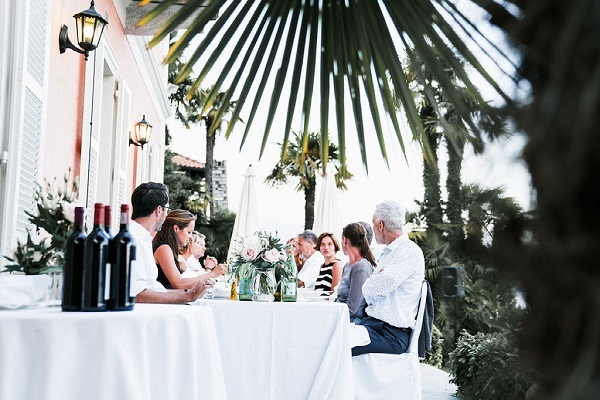 This makes a perfect finish to any Italian wedding! 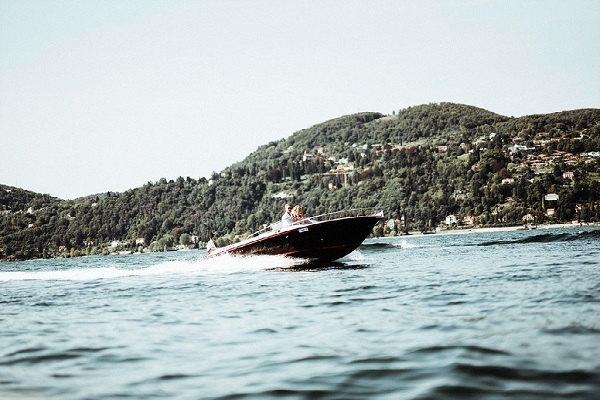 In glorious sunshine, the couple and their guests enjoyed a two-hour cruise across Lake Maggiore, first to the north and then continuing south to view the lake’s islands. It was definitely one of the day’s highlights. Following their return to the villa at five thirty in the afternoon, the guests enjoyed an aperitif served with some delicious delicacies. Ariane and Oliver certainly celebrated their special day with a relaxed and intimate party. 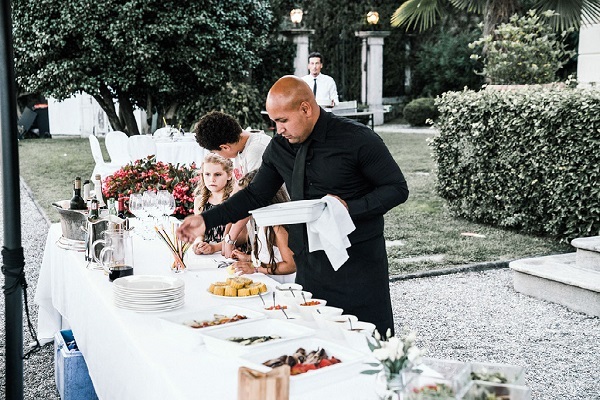 The wedding caterer, who had come from Milan, is recognised all over northern Italy for its high-quality cuisine while the wedding table was graced with flower decorations that blended classic design with Mediterranean influences. Alongside the delicate pastel-coloured roses were eye-catching displays of miniature bottles of olive oil and sprays of twigs. Music was provided by a live five-piece band that soon tempted guests on to the dance floor. The following day started with a cosy brunch on the terrace of a nearby hotel. 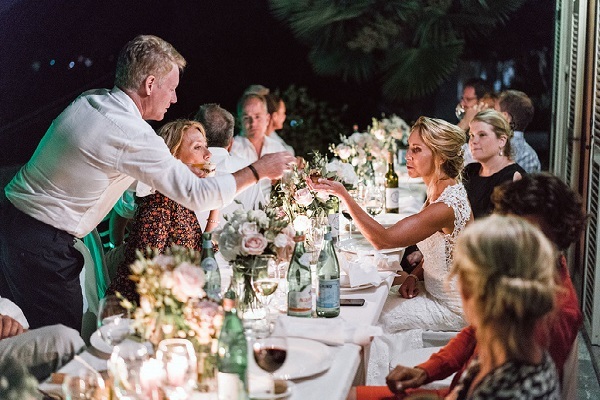 The ideal end to a wonderful wedding which we will never forget!